ou are cordially invited to join the Boise Basin Quilters’ Guild! Meet fellow quilters who enjoy your passion of quilting. 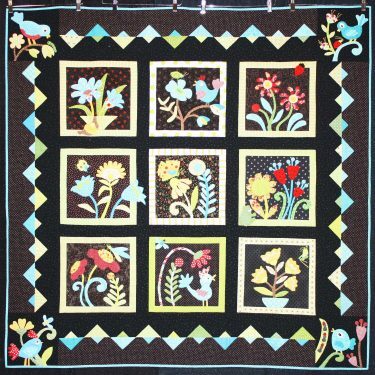 You can participate in the various activities of the Guild, and make new friends all ages and from all walks of life — who share your love of quilting. Member participation is essential for the livelihood of the Guild, in addition to being a great way to meet others. Guild Meetings are the third Thursday of each month, except July and December. We meet at the Boise Church of Christ, 2000 North Eldorado Street, Boise, Idaho. (map) The fellowship hall of the church is open at 6:30 pm so that members and guests have time to visit all the activity tables which includes our extensive library. Membership applications are available at the Membership table during Guild meetings. Yearly dues are $35 per Guild year. The Membership Application Form is posted at the bottom of this page. The competed form may be turned in at a Guild meeting or mailed with your check to Boise Basin Quilters’ Guild, PO Box 4434, Boise, ID 83711. The official Guild membership card is issued to each member and is used as a name tag. This name tag is required to participate in Guild activities. Members who forget their membership card/name tag can obtain a substitute name tag for 25 cents at the Meet and Greet table. Membership cards will be available for pick up at the first Membership meeting after your dues have been paid. Come to the Membership table at the back of the Fellowship Hall.